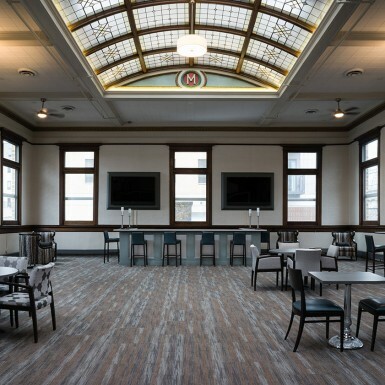 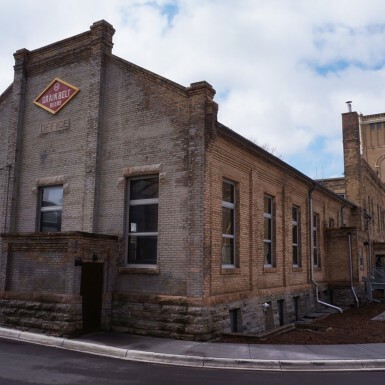 When Everwood Development bought the Grain Belt Office Building, it had been unoccupied for over a decade and was in a serious state of disrepair. 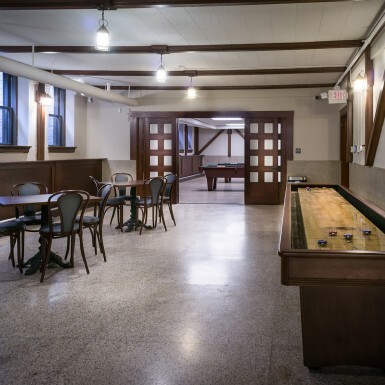 The basement remained flooded for most of the year, the original plaster walls were severely water damaged, and the vaulted stained glass skylight was in danger of collapse. 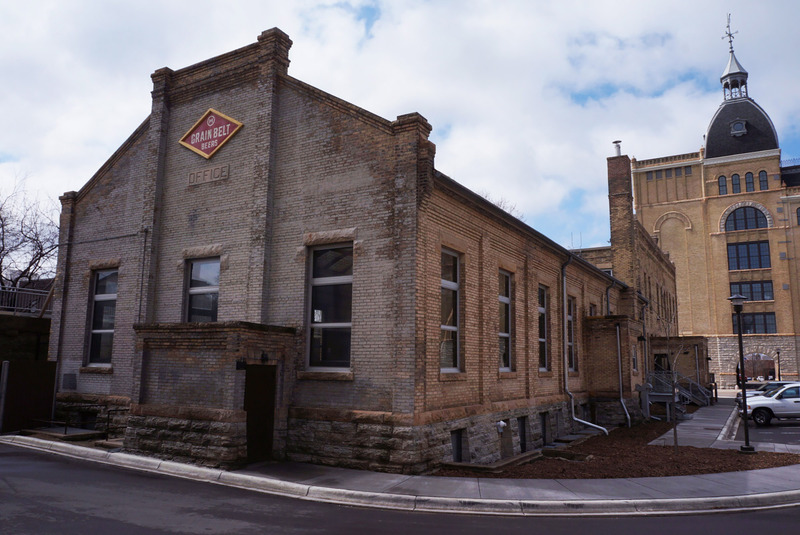 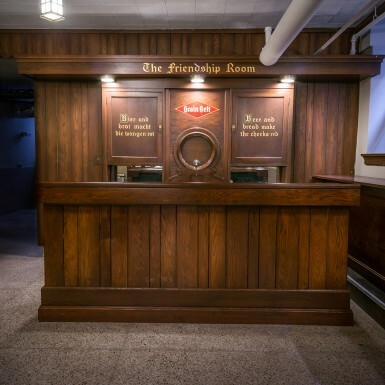 Originally built in 1893 with a rear addition with the skylight added in 1910, the building was used as office space by the Grain Belt Brewery. 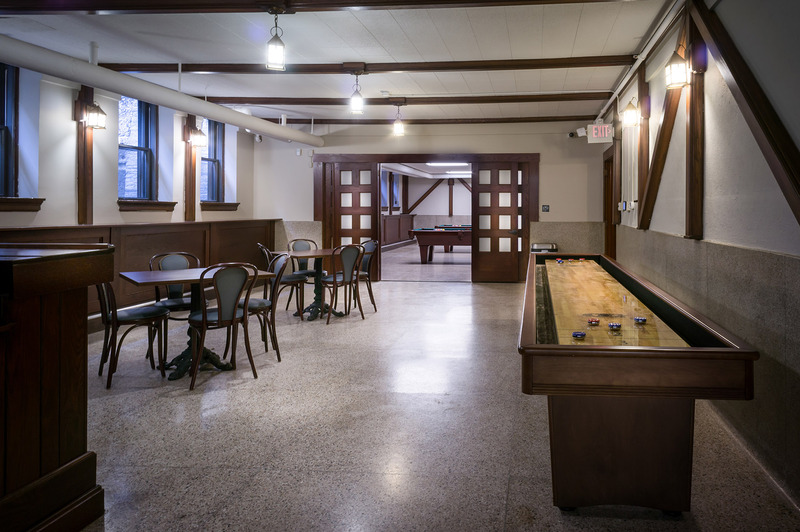 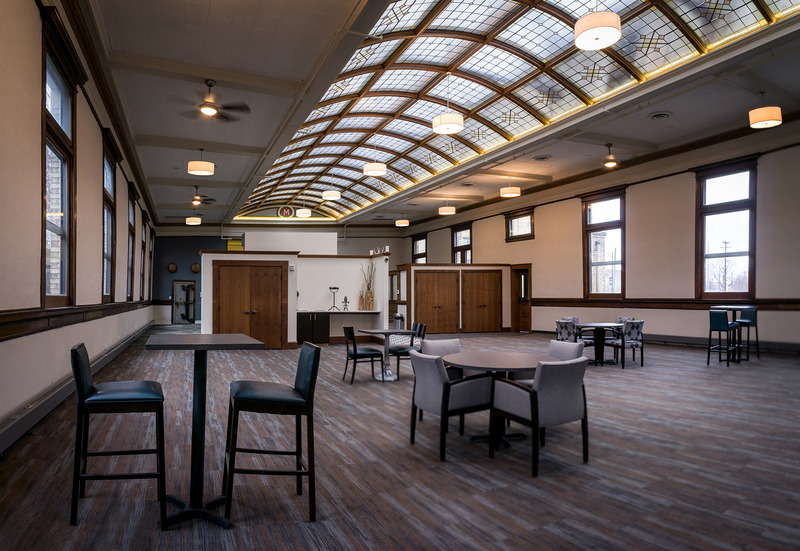 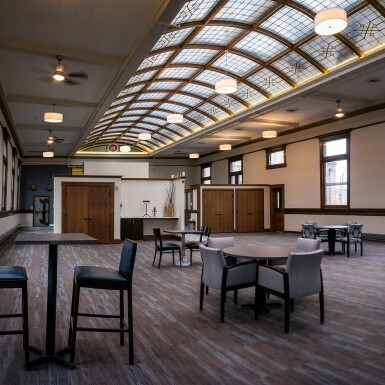 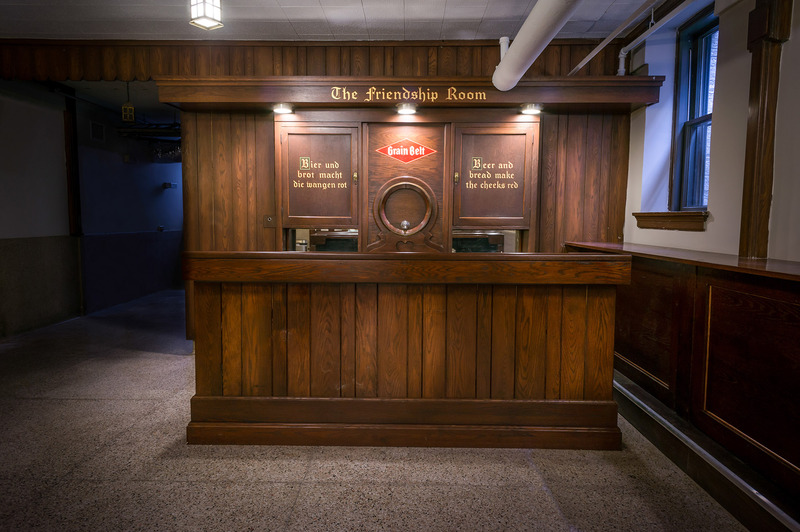 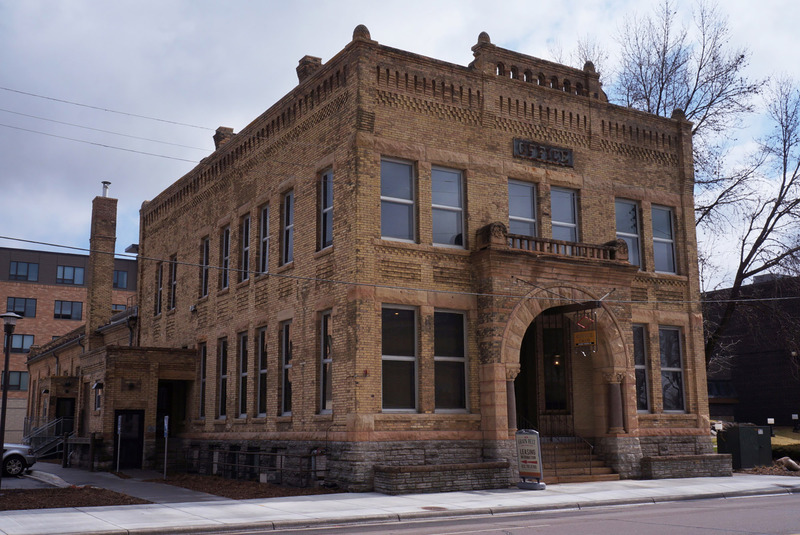 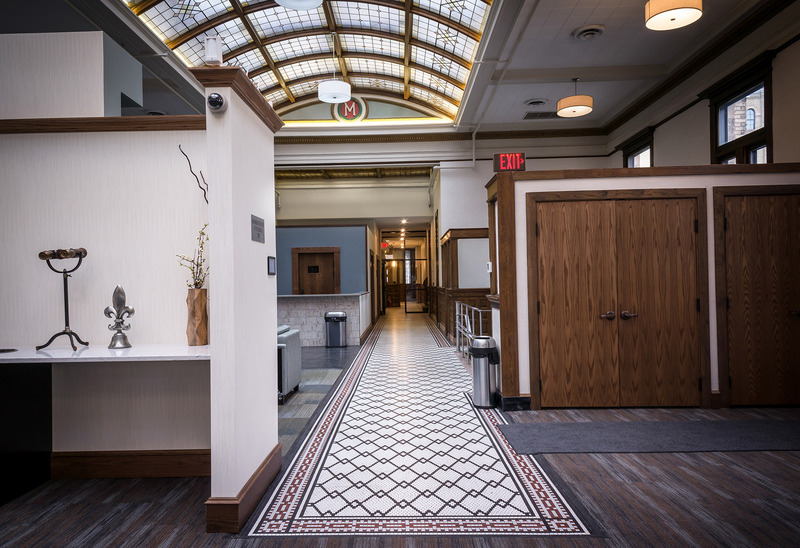 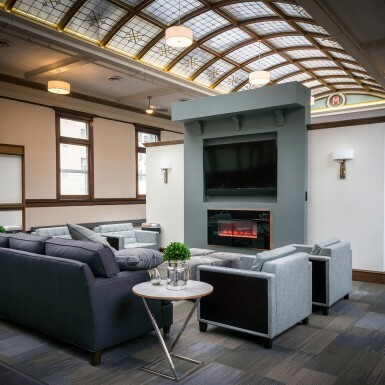 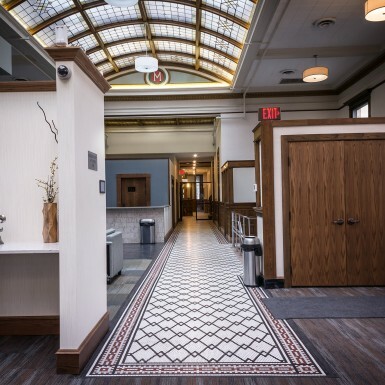 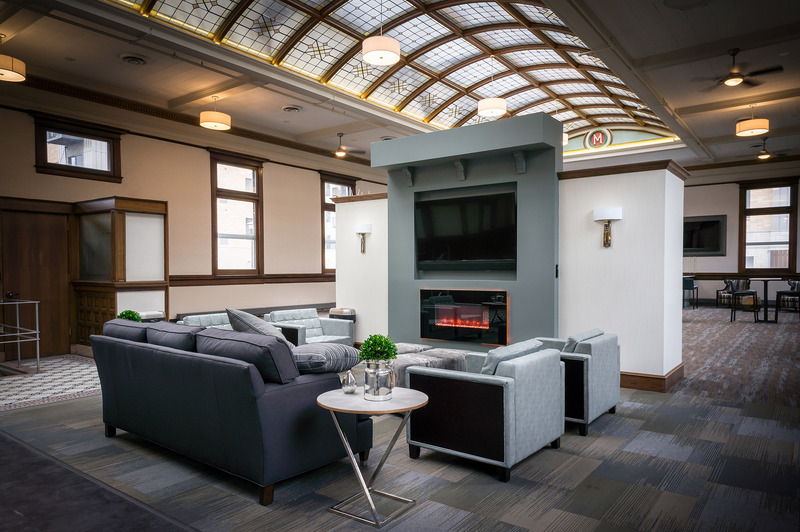 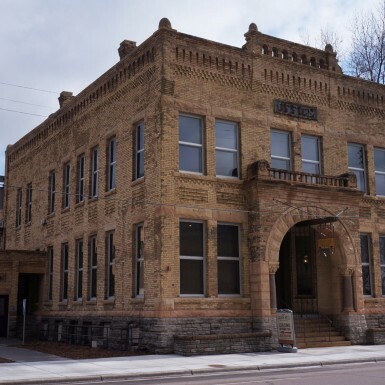 The newly renovated building is still true to its past with office space in the original portion of the buildings, while the addition houses amenity space for the adjacent Grain Belt Apartments and community.